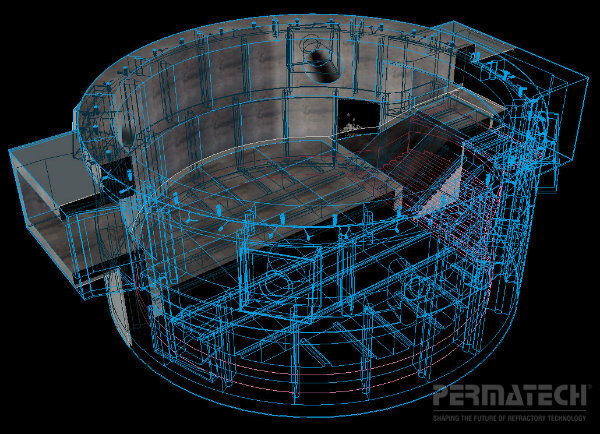 Whether it be the design of a small casting system requiring minimal technical assistance, a custom high flow rate troughing system , or a complete turnkey furnace rebuild with shapes up to 10-tons, Permatech Engineering Services has the experience to get the job done. The Permatech team utilizes its wide range of manufacturing capabilities coupled with plant operational and engineering experience to meet virtually any metal handling requirements. This group can also help plants to understand and solve problems, as well as implement needed improvements or solutions very quickly. 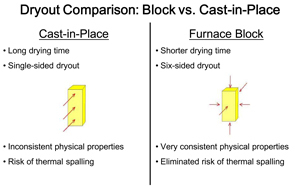 Permatech has innovated the 'Big Block' furnace concept, and is recognized today as the industry leader in the manufacture of large precast, pre-fired furnace block. The Permatech Engineering Services Team is an industry leader in engineering the utilization of BIG BLOCK refractory shapes for aluminum melting and holding furnaces. Furnace Relining - "Can Metal To Metal Lining Be Achieved In Seven Days?" 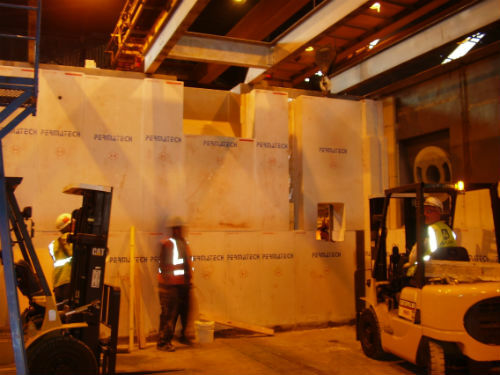 In this contribution to Aluminium Times from IMS and Permatech, Inc, it is suggested that the use of the Permatech's Large Pre-Cast Block refractory manufacturing and installation expertise brings the possibility of relining a furnace, from metal to metal, in seven days, ever closer. Click here (Aluminium Times) To Read Entire Article Published in an Issue of Aluminium Times.